On behalf of the Faculty, I would like to thank our staff, students and faculty on another successful year. This has been a period of unprecedented achievements for the Faculty and we have provided a snapshot of highlights in this issue of the Newsletter, to reflect your hard work and achievements. 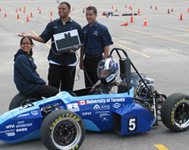 The foundation of our Faculty is only further strengthened with each passing year through your dedication and commitment to Engineering at U of T.
We take pride in this year’s accomplishments and the latest international rankings, which placed U of T Engineering as #1 in Canada, and #11 overall in the world. This recognition is a testament to the outstanding reputation that our Faculty has at the international level. In previous years, we held Faculty Day in August, but we have heard your requests to schedule Faculty Day at a time when most academic and administrative staff can attend. August proved problematic due to vacation schedules, thus our next Faculty Day will be held sometime during reading week February 17-20, 2009. This year's theme will be "Globalization" and our event will feature seminars, workshops and panel discussions with a focus on understanding other cultures, teaching an international and diverse student body, and preparing for competing in a global environment. A final date will be confirmed soon. To celebrate our achievements of the past year, I would like to invite all academic and administrative staff for a BBQ lunch on Thursday, August 28 (location to be determined). I look forward to seeing you at our BBQ and wish you a rewarding and enjoyable summer. Our applicant pool for fall 2008 increased by 11% for Ontario applicants who selected Engineering as their first choice, and by 7% overall. This is the rewarding outcome of our Faculty’s outreach and recruitment efforts, which included many new on-campus events as well as recruitment visits to Nova Scotia, Alberta, British Colum bia, United Arab Emirates, China, and Malaysia. With the exception of the double cohort, this year’s application numbers are a historic high for the Faculty and have allowed us a greater selectivity in our admissions process. Consequently, we have been able to reduce our target intake of undergraduate students this year, with the goal of reducing our attrition rate from 17% to 8%. The minimum cut-off for admission was raised this year to 82% - up from 80% last year, and 75% in 2005. The overall average of applicants is 89%, up from 86% last year, and the average for EngSci is 93%. With the exception of EngSci, all programs had reduced targets, which remained constant, and Track One increased by 50%. As part of our continuing recruitment endeavors to increase the yield of top applicants, the Galbraith Scholars program was launched this year. 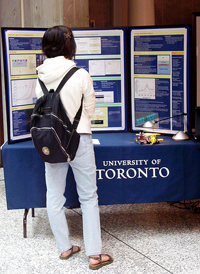 This program adds a set of incentives for our top applicants, including a branded community with special programming, and a weekend at U of T where the students have the opportunity to stay overnight in residence, attend a special dinner with the Dean and faculty members, as well as attend workshops to learn what the University and Toronto can offer. We are delighted with the positive responses received thus far. Last year, the Track One program was introduced for first-year students who had not yet identified their Engineering field of specialization. We are extremely pleased with the success of this program in its inaugural year. This year several new educational opportunities and programs for undergraduate and graduate students in Engineering were initiated. As a result of the senior leadership retreat, two major Task Forces were established to respond to the ever-changing global challenges and opportunities, and address how we can prepare Canada’s top Engineers to provide innovative solutions. Led by Professor Doug Reeve, the mandate of this group is to build awareness of the intersection of Engineering/technology and public policy. Through panel discussions, focus groups for alumni and students, and student surveys, the Task Force has recently completed its report, which includes recommendations on educational programs (undergraduate minor and Master’s) and organization in Engineering and Public Policy. Comments in response to the Committee's Report (PDF) are welcome; please send via the Dean's Office at dean@ecf.utoronto.ca. This initiative, led by Professor Yu-Ling Cheng, has the mandate to explore how our Faculty can better prepare our graduates for a global workplace and how our research initiatives should be influenced by and proactively address global challenges. Here is the link to the Interim Report. Please send your feedback to the Task Force via the Dean's Office: dean@ecf.utoronto.ca. In addition to the emerging areas of educational programming, we also continue to focus on Energy as a timely and important priority for our Faculty. A new Energy Systems major for Engineering Science students will commence this fall, and minors in Energy and Environmental Engineering are in development. Also, in response to the opportunities in the area of Energy, the Division of Environmental Engineering expanded its mandate, which is reflected in its new name - Division of Environmental Engineering and Energy Systems. The Faculty's robust research endeavours in this field have been further enhanced and highlighted by the creation of an Energy Research Network and a daylong energy event for industry, government, granting agencies and university officials. This spring, the Entrepreneurship, Leadership, Innovation and Technology in Engineering (ELITE) certificate was introduced as part of the MEng degree. We have developed a series of 10 courses, taught at the Faculty level, that are intended for Engineers who wish to advance themselves professionally by assuming greater leadership roles, and foster and manage innovation, while embracing global opportunities. 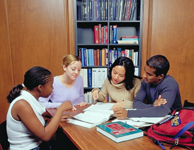 The courses include Saturday and summer offerings, to ensure greater accessibility for part-time students. In the coming years, the Faculty will seek to increase our graduate student enrolment - primarily in the professional Master’s degree and PhD programs. Our five-year goal is to have a student population with 40% graduate students and 60% undergraduate students (presently 23% graduate and 77% undergraduate). We will intensify our efforts for the MEng/ELITE program and for the proactive recruitment of high calibre PhD students. Discussions will continue regarding direct entry and fast-tracking into our PhD program, five-year integrated BASc/MASc and BASc/MEng ELITE programs and a joint Engineering and Medicine degree. Watch the Engineering Newsletter for more information on these important emerging areas. The academic year of 2007-2008 was an exciting and eventful time for leadership development activities in Engineering. Under the Engineering Leaders of Tomorrow (LOT) banner there were 142 events with total attendance of 4,064 students. Since 2006, the program, which began in CHEM in 2002, has taken root in four more Departments and Divisions: ECE, MIE, MSE, and EngSci. A new course, APS 501- Leadership and Leading in Groups and Organizations, was offered for the first time and received exceptional reviews from students. Professor David Colcleugh, Engineering alumnus and former CEO and President of Dupont Canada will be teaching the course again this fall with support from the LOT office. Finally, a new co-curricular certificate program is set to launch in September 2008. Level one of the certificate program will focus on team-skills such as conflict resolution, group facilitation and self leadership. This year, as in years past, proved testament to the diversity, talent and spirit of our student population. We continue to be exceedingly proud of our students' achievements through their participation this year in international competitions, awards, events and conferences. Our students continue to excel and are rewarded for their efforts both within the University and across the nation. Notable student achievements this past year include: Adam Kirsh received the 2008 Governor General Silver Medal, eight Engineering students won Gordon Cressy Student Leadership Awards, and David Godri was named to Canada’s Top 20 Under 20™ list. Consistently willing to push boundaries and explore new, innovative ideas, intrepid members of our student community participated in world-class competitions like the SAE Formula races and Panasonic World Solar Challenge in Australia, organized academic and business conferences and competed against other students in national competitions. As far as our students’ reach is concerned, they are more than willing to explore the territory close to home. This year, several students interview ed members of the Faculty’s senior leadership team, including Vice-Dean, Undergraduate, Grant Allen and myself. We look forward to welcoming the newest U of T Engineering students who will join us in the fall and continue to infuse the Faculty with renewed energy and purpose. In February, the Faculty’s senior leadership team held a Town Hall to provide a forum for our undergraduate students to learn about the priorities and directions for the Faculty, ask questions, and provide input. The inaugural meeting was well attended and we enjoyed a productive dialogue. We look forward to continued discussions with our student body in the coming year. Susan McCahan, Chair of First Year, in collaboration with Barbara McCann, Faculty Registrar, led the Faculty’s effort on Student Retention this year to identify the causes of our high attrition rate and to examine impediments our students face while undertaking their studies. As a result, we are restructuring the Recruitment Office to include the transition and retention of first-year students into its mandate as well as recruitment and retention of female students. We will also be adding programs to ensure our students have the necessary support systems to successfully complete their studies. Funding provided in support of the Faculty’s Student Experience Fund submission this year will enable much-needed renovations to the Engineering and Computer Science Library, which will result in increased study space and improved access to reference materials. Upgrades will also be made to the Engineering Computer Facility that will allow undergraduate students to remotely access software required for Engineering courses. This initiative will reduce the needed computer cluster spaces in the Faculty. Congratulations to the outgoing Executive members of Eng Soc for their hard work and excellent leadership. We enjoyed a successful year of collaboration and we look forward to working with the incoming Executive team to enhance student education and the student experience, including the continuing challenge of fulfilling club space needs, remodelling the Sandford Fleming atrium and student space. U of T Engineering academic and administrative staff continue to work diligently to provide the Engineering community with strong and reliable support. This past year, our community received a number of University awards, including the President’s Teaching Award in both 2007 and 2008, the Joan E. Foley Quality of Student Experience Award, and an Honorary Degree. For a complete list of these accolades and more, please visit our awards website. Earl ier in the academic year, a number of our staff were recognized under the University’s Stepping Up program for contributing to staff and faculty development and support, improving student services and portraying the University as an employer of choice. 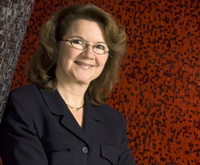 In May, Linda Espeut, from The Edward S. Rogers Sr. Department of Electrical and Computer Engineering, received the prestigious Agnes Kaneko Award for her outstanding contributions to the Faculty. Over the past year, I have had the pleasure of meeting with academic and administrative staff to hear about their experiences and to solicit feedback on ways to strengthen our Faculty. A recurring theme during these meetings was the need for better communication within our Faculty. The Engineering Newsletter was developed and implemented as a result of this feedback. Although this is the 15th issue, our Newsletter is still evolving. We welcome your feedback on both the format and content. An online archive can be found on the Engineering website. As we continue to increase the visibility of our educational programs and research by focusing on strategic themes, like energy, and by increasing our industrial outreach, we continue to enhance our international stature. This has been a record year with over $59.6M in funding awarded to our faculty members. Tri-Council - mostly NSERC - funding has continued to increase and peaked at $18.7M. Over the last year, we’ve fostered strong industrial partnerships with Motorola, AMD (formerly ATI), Ford, SABIC, ARISE and MKS. Even though our industrial funding increased to $6.5M this year, it still only accounts for a modest 11% of the total research funding. In the coming year, we will continue our efforts to grow strong industrial partnerships, which, in turn, will enable provincial and federal funding, the majority of which requires industrial partnerships. As part of our philanthropic fundraising objectives, the Faculty’s senior leadership team has defined a set of Faculty-wide as well as departmental specific priorities and is finalizing the major gift case for support document. Our newly constituted Dean’s Advisory Board on Academic Affairs, chaired by alumnus Paul Cadario, held its inaugural meeting this Spring. To provide additional counsel for strategic development and philanthropic fundraising, we also created the Dean’s Council for Strategic Development. Chaired by alumnus George Myhal, this group of volunteers will assist in the following: identifying and cultivating prospects; providing information on the suitability of major gift donors; and collaborating with senior academic administrators and advancement staff to help develop and execute major gift strategies, including cultivation and solicitation when appropriate. With our new Executive Director of Advancement and a case for support in place, philanthropic fundraising will be another major priority in the coming years. In the past year, two ECE undergraduate teaching laboratories moved from the first floor of the Galbraith Building (GB) to new space created within the Sandford Fleming Building, which will enable us to use the GB space for the Faculty’s administrative units and computing facilities. Other major renovations this year have focused on improvements to our research infrastructure. CFI funding played a major part in many of these projects, but I should note that there is still a significant cost to the Faculty and the University to complete research infrastructure renovations. The Emerging Communications Technology Institute (ECTI) lab project, soon to be completed, will house a nano-precision control tool that will supplement our local nano research facilities and enhance U of T’s presence on the nanotechnology stage, as well as provide researchers across Canada with world-class cost-effective nanoengineering services. Another major renovation is the creation of the Hydrogen Research Laboratory in the Haultain Building. This lab will support research into fuel cells, hydrogen energy and alternative fuels. With the renewed interest in alternative fuels, the field of alternative energy systems has re-emerged as an area of strategic importance for the Faculty. Construction is about to commence on another major CFI funded research renovation: the renewal of the Structural Laboratories in the Galbraith Building and Sandford Fleming basements. This project will upgrade and modernize two existing Structural Laboratories in order to accommodate new state-of-the-art testing equipment. The equipment will enable researchers to undertake large-scale investigations into structural materials and systems under conditions representative of extreme natural or man-made disasters. In conjunction with École Polytechnique de Montréal and McGill University, the facility will form part of a national structural engineering super-laboratory for Canada. This Lab allows researchers to perform stress experiments on samples, such as concrete and rock, and model the results in real time, at greater depth. U of T teamed with Dell Canada and Microsoft Canada to develop a high-performance computing cluster that will power the laboratory’s research. The cluster consists of a group of network servers connected to a single, high-powered computer, which will perform trillions of calculations per second. In the coming year, the Faculty will continue to upgrade and develop our physical infrastructure, including long-overdue renovations to older and cost-inefficient buildings. Starting this month, we will undertake a thorough space audit and infrastructure study to determine the level of space utilization and the quality of space, identify poor and unusable space and provide an assessment of what deficiencies can be overcome at a reasonable cost. This study, along with the Faculty’s strategic plan and departmental input on short and long-term plans, will enable us to identify needs for capital projects and explore potential sites for future development. We are delighted to welcome new professorial hires for 2008-2009 and will include biographical information in the Engineering Newsletter in September. Last year, the Faculty witnessed the creation of the Faculty Committee on Nominations of Honours and Awards, chaired by Michael Charles. In the past two years, the number of major awards received is unparalleled in the Faculty’s recent history, including the Killam Prize and Fellowships, AAAS Fellows, the 3M Teaching Award, NAE and RSC Fellows as well as Guggenheim Fellowships. The Faculty's visibility among Canada's top Engineering organizations, such as the Engineering Institute of Canada, the Canadian Academy of Engineering and the Professional Engineers of Ontario (PEO) has increased. Of the seven categories of PEO medals given out this year, four (including the prestigious Gold Medal) were received by U of T Engineering faculty members or alumni. A listing of our awards is on the Engineering website. Congratulations to everyone for this remarkable and well-deserved success!